SpaceX core landing: Did Falcon Heavy rocket core land? SPACEX and Elon Musk launched the incredible Falcon Heavy rocket in a dramatic display yesterday. But did the rocket's centre core land and what happened to the two boosters? The Falcon Heavy took off from NASA’s Kennedy Space Center in Cape Canaveral, Florida, at 8.45pm on Wednesday as it made a stunning arc to space. Almost three minutes after the launch, the two outer boosters broke away from the rocket and returned to earth. The two Falcon Heavy boosters gracefully touched down just second apart back at the Cape Canaveral centre, landing on two pads called Landing Zone 1 and Landing Zone 2. The central core then broke away from the rocket’s upper section, which was carrying the payload - Musk’s 2008 cherry red roadster. Unlike the two outer boosters, the third one was supposed to land on a barge several hundred miles out at sea but the centre stalled just before touchdown - with someone heard saying “we lost the core” on a live stream of the Falcon Heavy launch. The core spectacularly missed its destination, smashing into the water at 300 mph. The crash was caused by the booster's insufficient propellant as it made its descent. As the centre core was only able to relight one of the three engines needed to land, it hit the water at 300 miles per hour and about 300 feet from the drone ship. SpaceX had already predicted the centre core was less likely to be salvaged. Despite this hiccup, Falcon Heavy has been widely received as a brilliant new era in rocket launches. 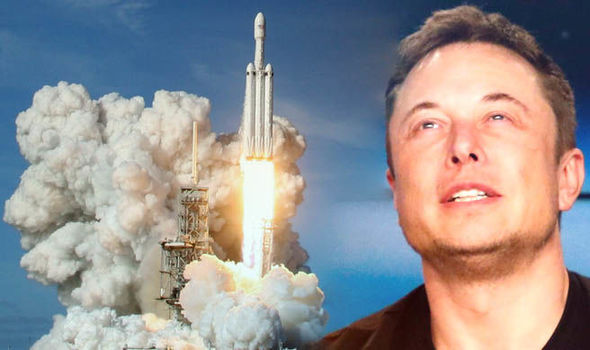 After the launch, founder Elon Musk tweeted to say the upper stage of the Falcon Heavy - which carries the Tesla payload - had successfully ignited its engine and raised its orbit as intended. He later revealed the car had survived the “third burn” and exceed the Mars orbit. 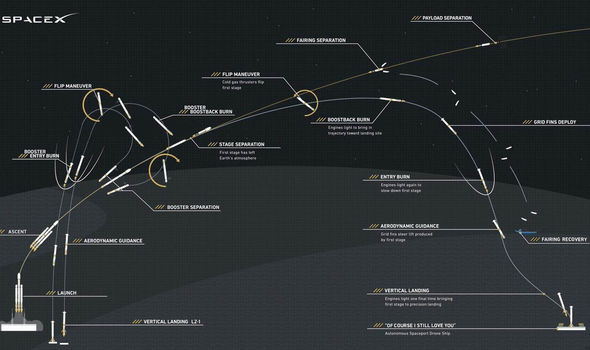 Sharing an image of the rocket's path, he added the roadster has “kept going to the Asteroid belt”.